During your registration at Jetcarrier.com, you will automaticly be given an American address. It’s free of charge; there’s no cost related to this. 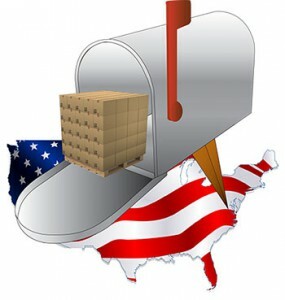 Why do I need an address in USA? Your address, or “Mailbox” as we prefer to call it, is located in New Jersey, USA. This is where you can send your orders. It can be both new or used commodities. We send by AIR once a week, and all goods are sent to either Norway, Sweden, or Denmark for distribution to the customer. Mainly every week, we also send containers by sea, which makes the shipping price lower, and there is no weight nor volume restrictions. We also can deliver boats, cars, car parts, motorbikes, furniture, big machines, etc. Customs Clearance Fee is often included in the shipping price, but VAT and optional Customs Fee are of course calculated. Your packages are forwarded to your closest pick-up point, but may also be delivered directly to your house. You may order from most American stores and private sellers. Click “How this works” to read more about how to use your Mailbox.